The Contact Form 7 plugin is the most popular free contact form plugin in the WordPress ecosystem. As good and reliable as it is, however, it doesn’t do everything it could straight out of the box. Luckily, there are others who have decided to add functionality that Contact Form 7 doesn't come with by default. They have created their own plugins to act as addons to the Contact Form 7 plugin. Below we have 10 of the better ones. While not strictly limited to the Contact Form 7 plugin, this plugin allows you to save submitted form data to your database. In addition, you can export the data to a file or even use short codes to display it. This plugin appears to be the most popular of all the Contact Form 7 addon plugins. Contact Form 7 is great, but let’s be honest: the form it produces out of the box is not really very attractive. The Contact Form 7 Style plugin takes care of that problem by letting you easily add custom styling to the form. It has color control, Google fonts, border and background colors, some predefined templates, and more. The Jquery Validation for Contact Form 7 plugin lets you add validation rules to your contact form for things such as phone numbers, credit card numbers, dates, and URLs. For example, if someone tries to type text into a field meant for phone numbers, they will receive an error message. The Contact Form 7 City Field Extension plugin adds a city field to your form that hooks into the Google Maps API. When a user begins typing in the name of a city, the field begins to auto-complete the field, depending on what’s being typed. The Contact Form 7 Honeypot plugin helps stop spam. As most spam is produced by bots, this plugin fools them into filling in fields that shouldn’t be filled in, thereby identifying themaselves as spam bots. 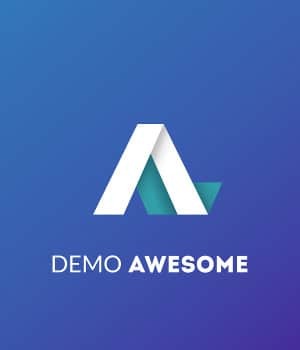 The Contact Form7 PayPal Integration Add-on plugin connects your contact form with PayPal. This plugin lets users submit messages as normal, but then it also redirects them to PayPal once the message has been sent. Each form you build can have its own PayPal settings. The Contact Form 7 Signature Addon plugin adds a field to your contact form that allows users to add their signature by using a signature pad. The Contact Form 7 Success Page Redirects plugin allows you to redirect someone to a page of your choosing after they successfully complete the form. If the form is not completed or there’s a problem with the submission, no redirection takes place. The Contact Form 7 MailChimp Extension plugin allows you to integrate your forms with your MailChimp account. You can automatically add form submissions to a MailChimp list, use a different mailing list for different forms, add a single opt-in feature, and add an opt-out feature. The Contact Form 7 Clockwork SMS plugin sends you a text message each time someone fills out the form on your site. While the plugin is free, unfortunately you need a Clockwork account to use this function. At the time of this writing, it costs $.08 per text message. Do you know of any other good extensions for Contact Form 7? If you do, let us know in the comments. Hi there! 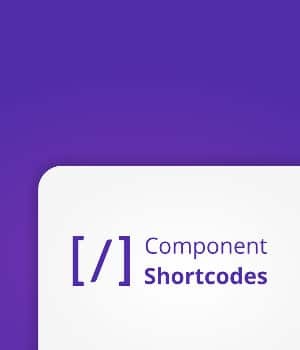 Nice List about the extensions of Contact Form 7 Plugin. I want to share one more amazing addon of Contact Form 7 which is Contact Form 7 Store to DB. It is a premium extension for Contact Form 7 that will let you store all your submitted entries into the database. Also, the plugin is GDPR compatible and will provide the users with full control over their personal data. This plugin saves inputs from “Contact Form 7” webforms and organize them. With “Save Leads” you will be able to watch and track leads through your E-mail or a designated dashboard. You can also mark the stages of the treatment and leave comments. 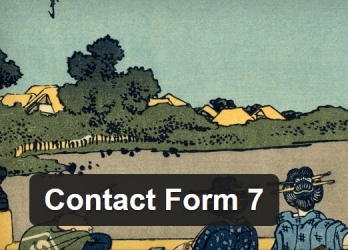 Contact form 7 is definitely the best contact form plugin for WordPress. I think most of the WordPress users don’t even look around for other plugins for their contact forms. I recently tried weForms after I read about it here ( https://www.wpblog.com/weforms-review/ ). I love trying out newer plugins so I gave it a try. It’s surprisingly good and I think you might want to check it out as well. Is there any free add-on available for mobile OTP verification for CF7 where I use any SMS gateway? If you need a tool to create contact form simply, clean, I suggest you plugins. Actually, I used it to create a contact form on my site and I’m very pleased with it because it makes my page look better. So I want to share with you. Another great plugin for Contact Form 7 is Powerup CF7, which enables webhook option in CF7. May I share these tips for small businesses? The post-fields extension enables you to create drop-down-menues, checkboxes and radio-buttons based on posts or other kinds of content (custom post types). My client wanted to have a database of people who are contacting him. I was seeking an extension for it. Your post saved my time and energy. Contact Form Database is very useful plugin to save the data. Thanks for this wonderful post. is there any addon to add dynamic image in contact form 7 like adding dynamic select box extension. Extend contact form 7 with select options from database tag. Any column in your database can be a source to this select options element. Hi, Iam using the “contact form 7 ” plugin and “Contact form DB”, but I need to export the data resulting from submit form. I’ve been investigating but have not found anything. I am a beginner in the world wordpress. Is there any addon to be able to use conditional logic in cf7 forms?